South African politician; born in London in 1822; died June 11, 1879. 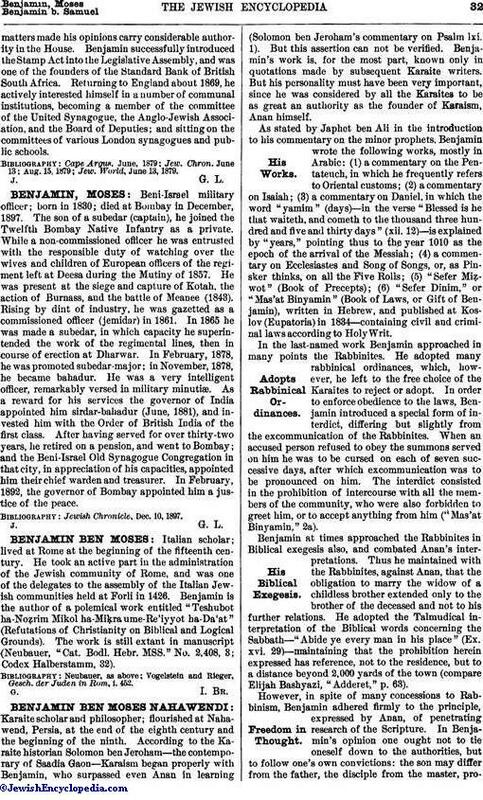 Early in life Benjamin went to Cape Colony (about the year 1849), and for ten years resided at Graaff-Reinet, where he was the promoter of several useful institutions. Thence he removed to Port Elizabeth, which town he represented in the Cape Legislative Assembly from the year 1864; and he was also a justice of the peace for the colony. He worked hard to secure the passing of the Eastern District Courts' Bill, and his extensive acquaintance with commercialmatters made his opinions carry considerable authority in the House. Benjamin successfully introduced the Stamp Act into the Legislative Assembly, and was one of the founders of the Standard Bank of British South Africa. 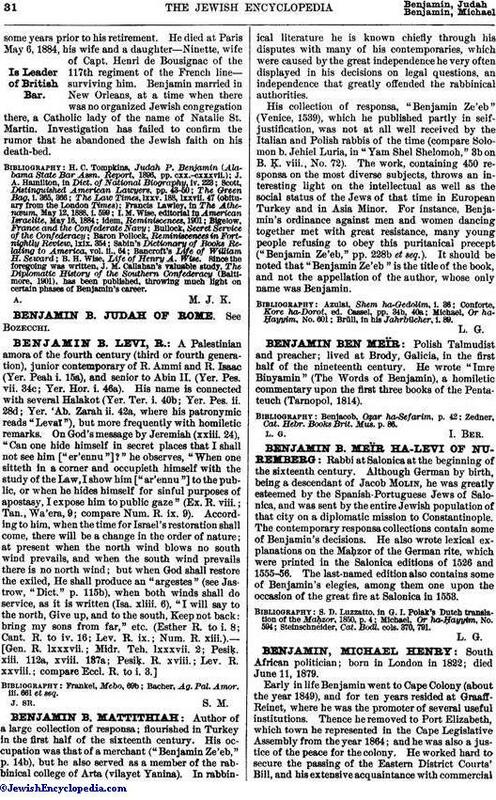 Returning to England about 1869, he actively interested himself in a number of communal institutions, becoming a member of the committee of the United Synagogue, the Anglo-Jewish Association, and the Board of Deputies; and sitting on the committees of various London synagogues and public schools. Jew. World, June 13, 1879.